According to Amadeus (30 April 2015), RwandAir has made some modifications on its Central Africa network. Its includes days operations and departures and arrivals times. Frequencies and routings are not affected. According to Amadeus (06 JAN 2014), from 30 March 2014, RwandAir will fly 5 times a week to Douala, from Kigali. Flights will be operated via Brazzaville and Libreville. The airline can sell tickets between Libreville and Douala and Brazzaville and Douala. Bookings are open. 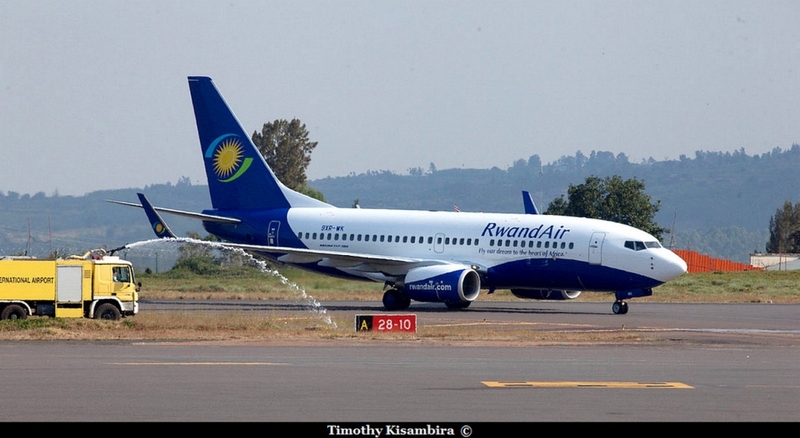 According to Amadeus (29 NOV 2013), from 30 March 2014, RwandAir plans to start a 4 weekly service to Douala, from Kigali. Flights will be operated via Brazzaville and Libreville, with B737-700s. The airline can sell tickets between Libreville and Brazzaville and Brazzaville and Douala. Bookings are not yet opened. According Cameroon Info, RwandAir could start service to Douala, from February 2014. It seems that the airline could expand flights to Yaounde. No more informations currently, and bookings are not open. Timetables disappeared from Booking website, today. New timetables will given later. RwandAir plans to serve Abidjan. The airline wants probably to serve Abidjan via Douala. Timetables below are not good. According to Amadeus (03 APR 2013), from 01 JUN 2013, RwandAir plans to start a 4 weekly service to Douala, from Kigali. Flights will be operated via Brazzaville and Libreville, with CRJ-900NGs. The airline has traffic rights between Libreville and Brazzaville. Flights to Libreville and Brazzaville, will be operated 7 times a week, instead of 4 times. While RwandAir will take delivery of twi B737-700s in two weeks, the airline announced today, that it will open flights to Cameroon, in June 2013. Douala was among destinations, that RwandAir planned to serve. It will be probably a trinagular service either with Lagos or Accra.